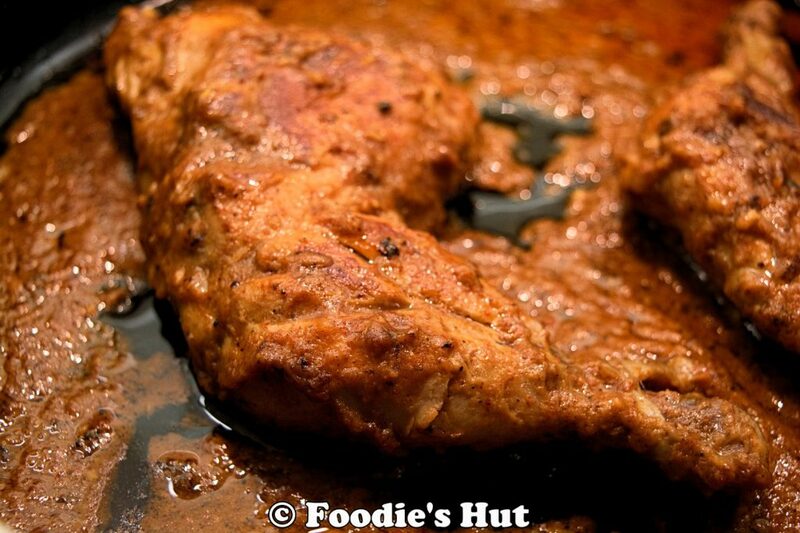 Kolkata Chicken Chaap or Chicken Chaanp is an aromatic rich Awadhi dish popular in Kolkata. This dish usually served with Biriyani or sometimes with Roti. This Chicken Chaap recipe is easier to make. 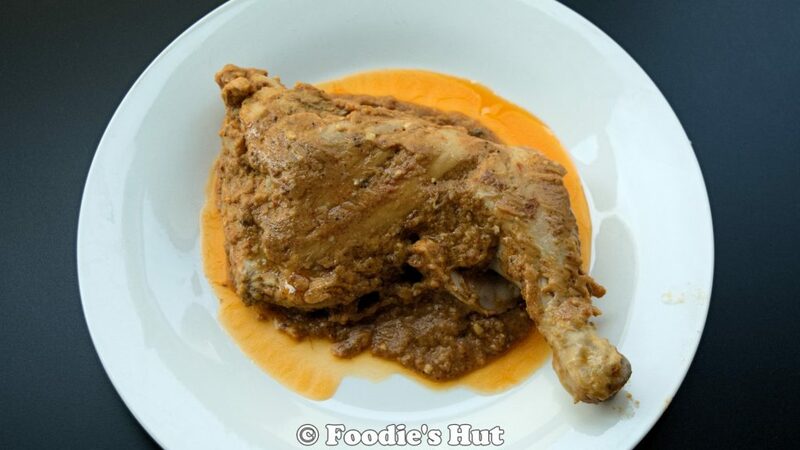 Chicken Maryland pieces braised in an aromatic, rich gravy. Because of historical and trade link, Bengali cuisine inspired by many other cuisines. Mughlai cuisine and Awadhi cuisine are one of them. Awadhi cuisine is deriving from Mughlai cuisine and very popular in Kolkata. I love all kinds of Awadhi dishes, may it Rezala, Biriyani, Chaap or Phirni! This dish tastes so good with Paratha, Roomali Roti, Biryani. 5-6 whole cashews blend them to make a paste. 8-10 saffron strands soaked into warm water for at least 10 minutes. Clean and wash chicken pieces, then with a sharp knife make few slits to the chicken, this will help to absorb marinade well. In a mixing bowl, add all the ingredients under marinade and chicken, give a good mix with your hand. Cover with foil and keep into the refrigerator for about 2 hours, overnight is better. Keep the marinated chicken to the room temperature before cooking. Shake off all extra marinade from the chicken pieces and place them to a plate. Season the chicken pieces and marinate with salt. Add oil to a heavy-duty wide pan, when oil is hot add ghee and let it melt. Add Chicken pieces; over medium heat fry them for about 10-12 minutes. This way Chicken pieces will be fry by outside but not cooked, then remove from oil. Add Sugar and stir to melt the Sugar. Add the marinade and let it cook over medium heat for about 3-4 minutes. 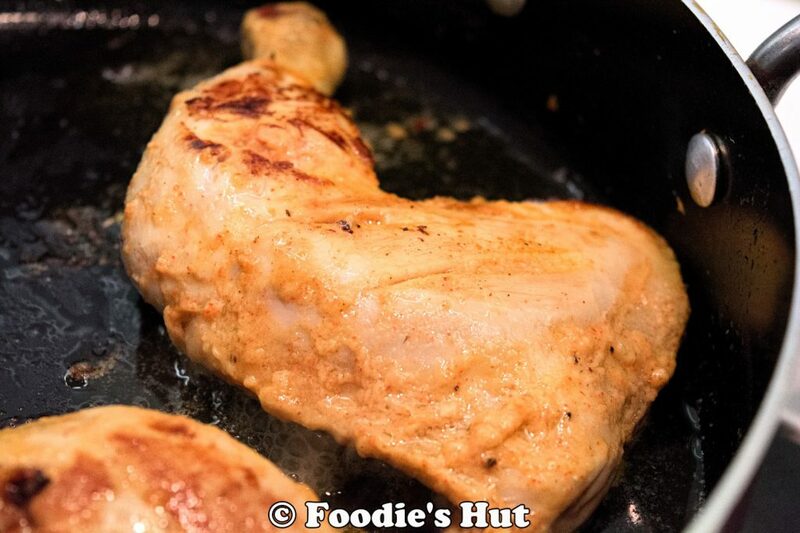 Add fried Chicken to the marinade, cover with the lid and over low heat continue cooking for about 20 minutes or until chicken almost cooked through, in between flip the Chicken 2-3 times , so that they do not stick to the pan. Add, the rest of seasoning, give a stir and allow everything cooks together for another 10 minutes. Turn off the heat and give 10 to 15 minutes rest time before serving and enjoy!